I’m so overwhelmed when I received the invites from Bellabox to attend their Bellabox TGIF Blogger Event! 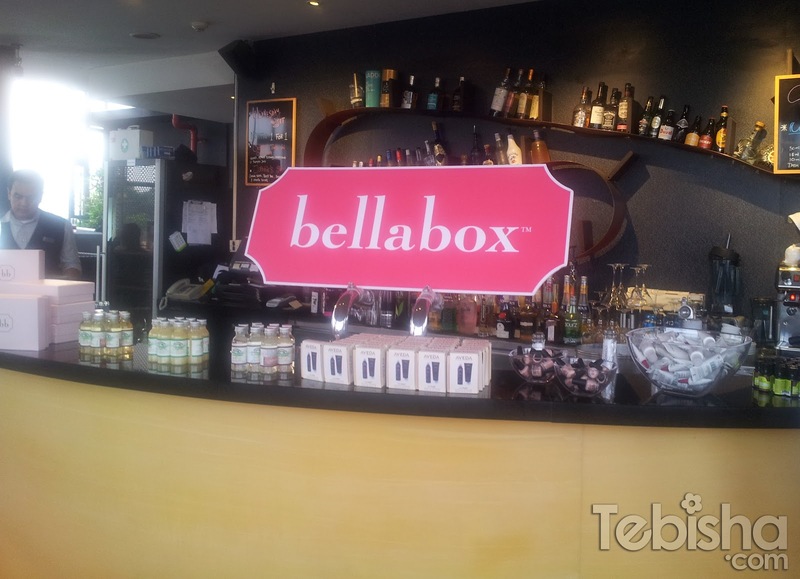 Bellabox TGIF Bloggers Event was held at Halo Rooftop Lounge at Wangz Hotel on last Friday evening! Love her new hair color! Refreshment served at the event! Each of us was divided to in groups so we can start off with different brand booth! Mag, Angie and me were in same group. We start off with BioDerma Booth! Sensibio H2O is not just a normal cleanser, it’s a water base makeup remover + cleanser. And the best thing is we don’t have to wash off with facial wash after using it! Well, Sensibio H2O is not oily and milky at all, how can water cleanse off our makeup completely? What about waterproof mascara and liner?? Can it cleanse off completely? And amazingly! The answer is YES! Live demo to show us how the makeup can removed thoroughly. 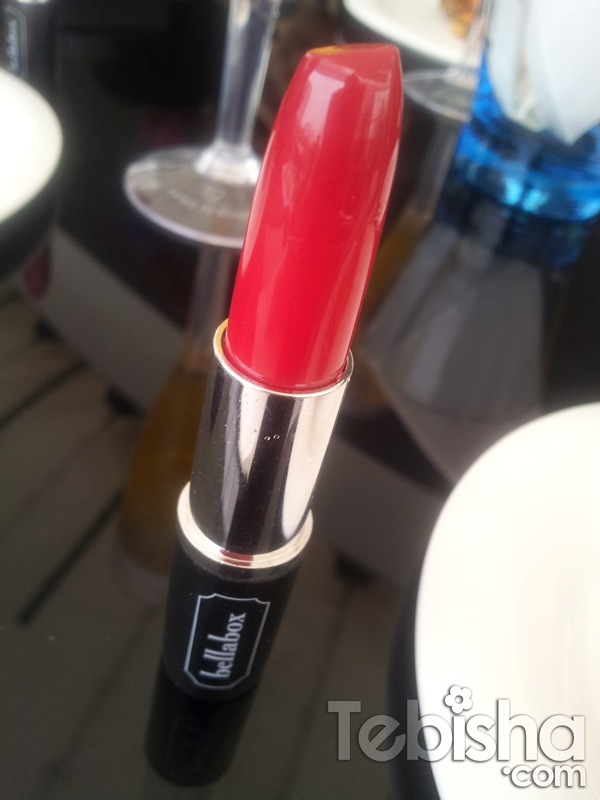 No matter how heavy the makeup is, it still can remove cleanly! And they tested on my hand as well. Foundation, Waterproof mascara, Eye liner all applied on my hand. Wet the cotton with Sensibio H2O put the cotton on the makeup and wait for a few seconds for the makeup to dissolve and slowly wipe it off! All the makeup is gone! It’s best for us, especially we went back late at night after partying! Too tired to remove the makeup step by step! With Sensibio H2O Cleansing water just 1 step will do! 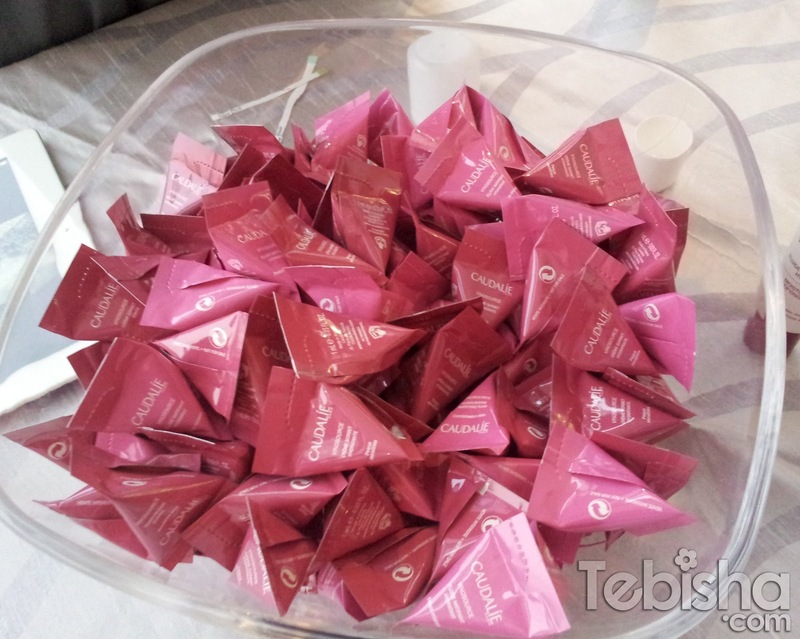 Each of us received a goodies bag from BioDerma after visiting their booth. Thanks BioDerma for the goodies bag! Can’t wait to try it out! 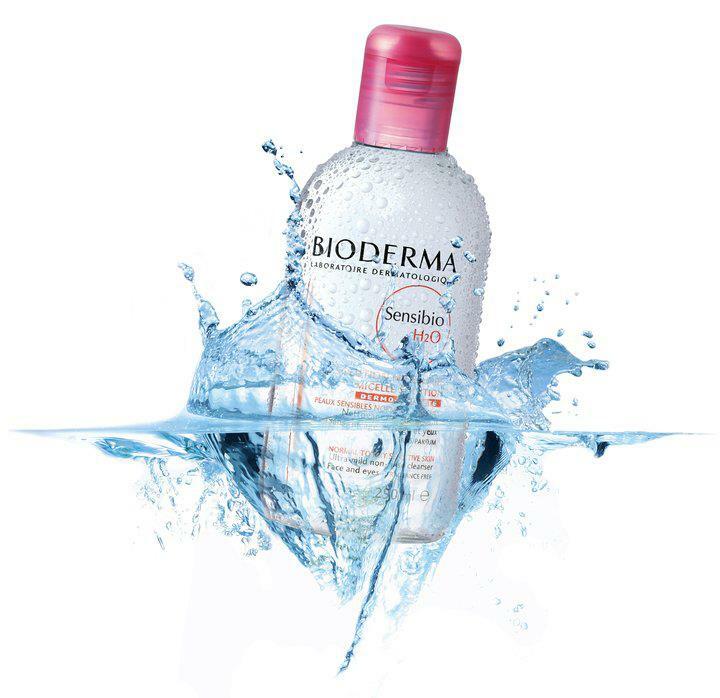 BioDerma Sensibio H2O is now available at Guardian Stores. 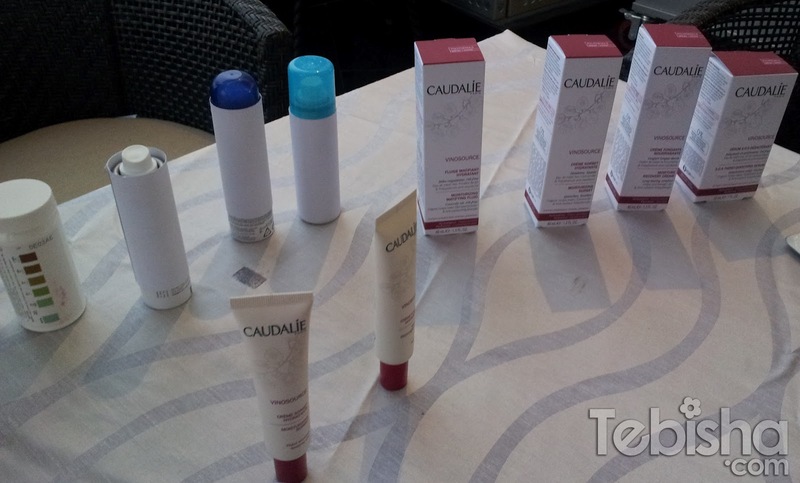 Next, we moved on to Caudalie booth. One serum for all skin types and 4 tailor made formulas, adapted to the 4 different skin types. Every woman will find the perfect daily routine for her skin ! Sample packs in the bowl for us to pick! Caudalie is now in all SEPHORA SINGAPORE stores! For more info, visit: Caudalie (https://www.facebook.com/pages/Caudalie-Singapore/128645817216371). Petronille Cosmetic is the next booth we visited. But I not going to reveal their products in this post cause we had so much fun there, I would like to do a more detailed blog post for Petronille. So do look out for my next post for Petronille. We did our own scrub that day and I’m going to reveal the recipe! So stay tune ok? Aveda has products for Haircare, Hair styling, Skincare, bodycare, Aveda Men, Pure-fume™ and Aroma therapy. Tried out their Blue Oil Therapy! Peppermint smell helps me to dissolve tension and makes me feel so relax! Helps us to find out which Body Mist suits us. After the test, mine is Expressive, Chakra 5. Chakra 5 is the center of creativity, self-expression and communication. When the throat chakra is balanced, one has inner trust, inner reliance and easily expresses their ideas and thoughts. Aroma: Organic Grapefruit, Rosemary and Ylang Ylang. Do you want to know what’s your Chakra? 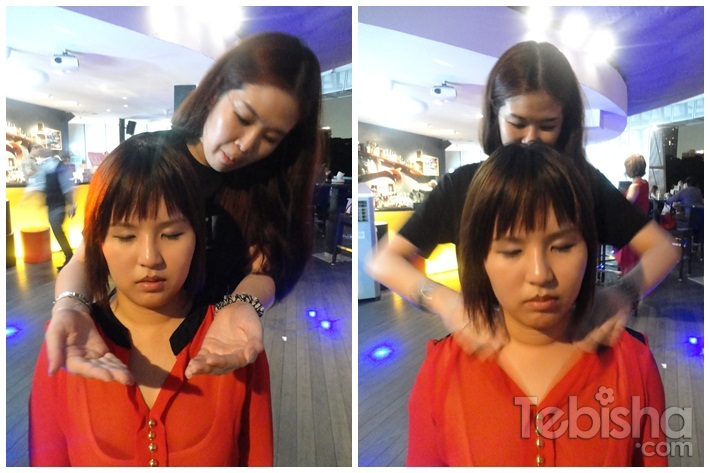 You can always visit Aveda Singapore at Ngee Ann City, Aveda Staff will warmly welcome you to try it out! Goodies Bag from Aveda! Thanks Aveda! The Aveda Experience Centre is open daily from 10.00am to 9.30pm, at Ngee Ann City (Takashimaya Shopping Center), #B1-32A. For more information, visit the Aveda Singapore Facebook page (https://www.facebook.com/avedasingapore). Do stay tune for my next post Bellabox TGIF Blogger Event! 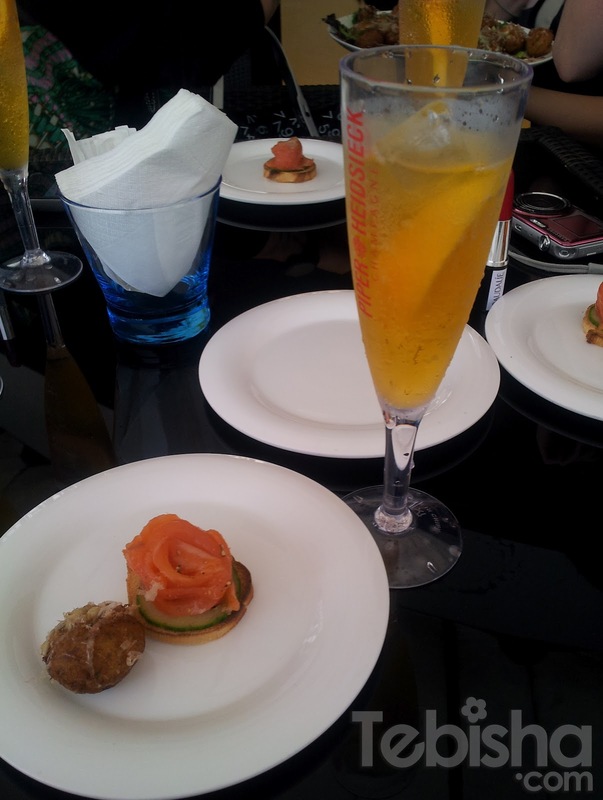 [Part 2], more brands experiences (Elizabeth Arden & Petronille Cosmetic) coming up and highlights of the event! Thanks Mandy from Bellabox for the invites! I enjoyed myself! Awesome event! Get your surprise Bellabox monthly at $19.95 only!